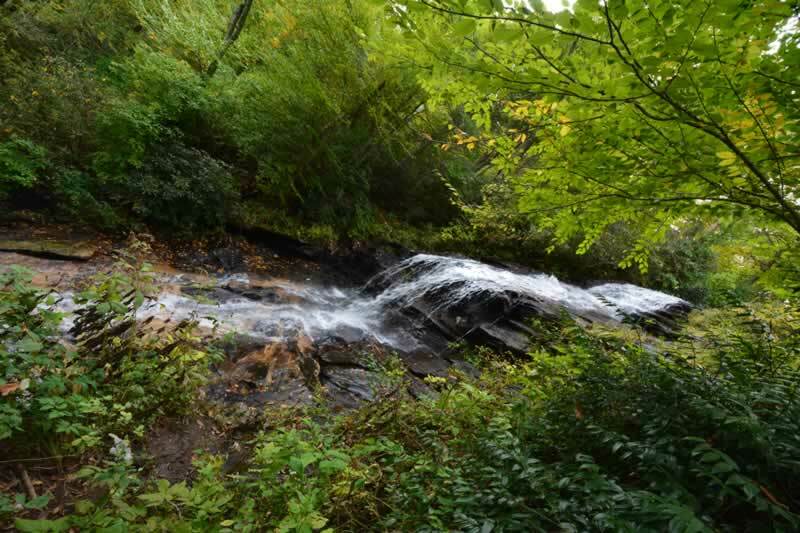 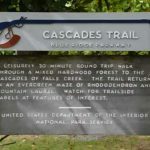 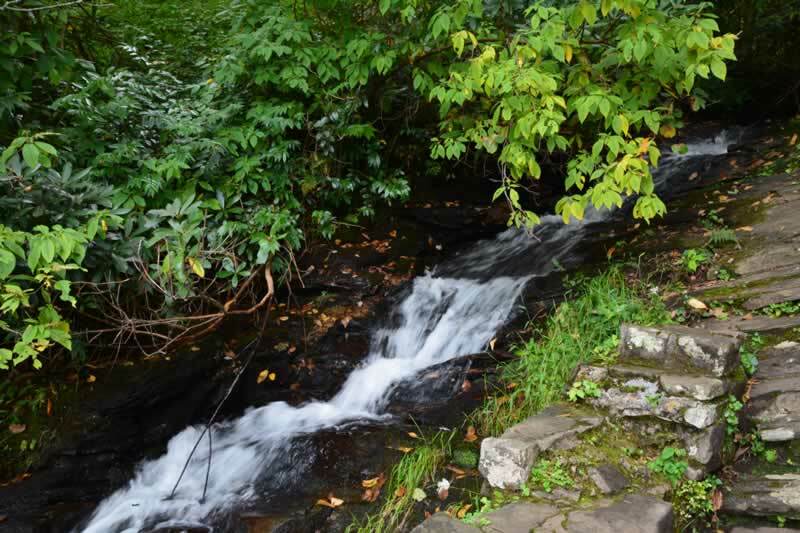 I visited the Cascades Trail on 9-28-14. 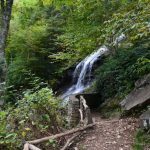 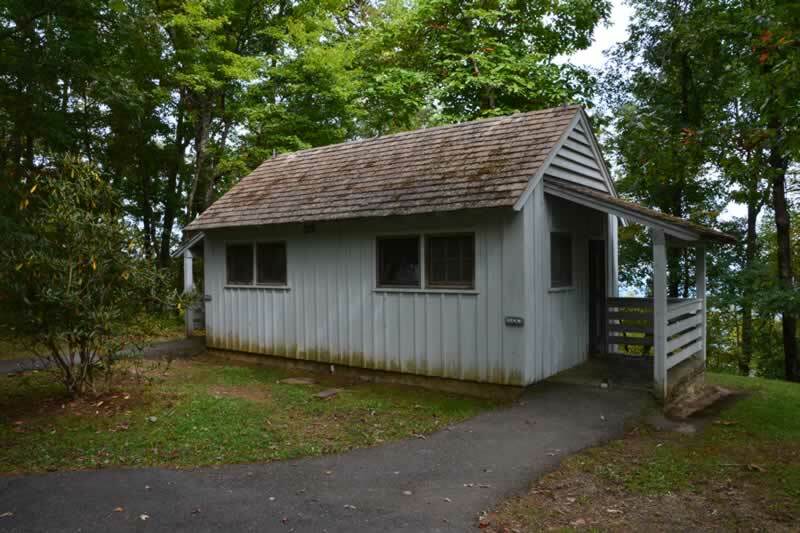 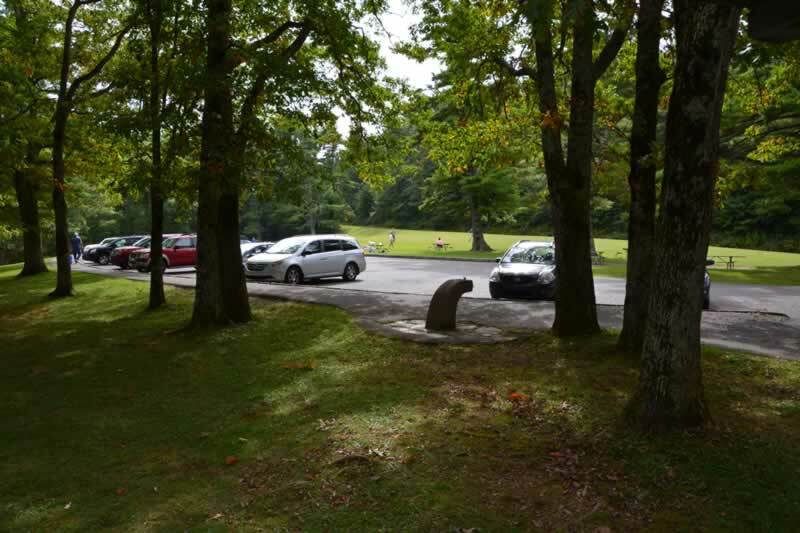 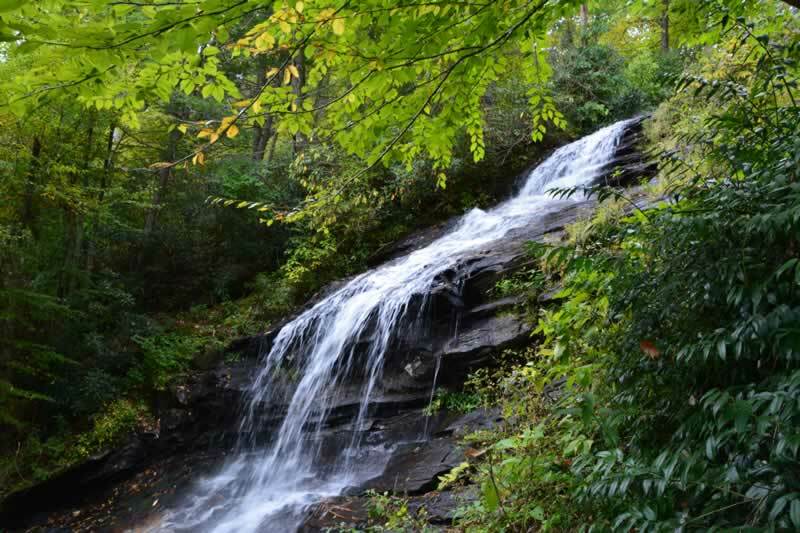 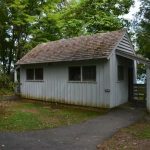 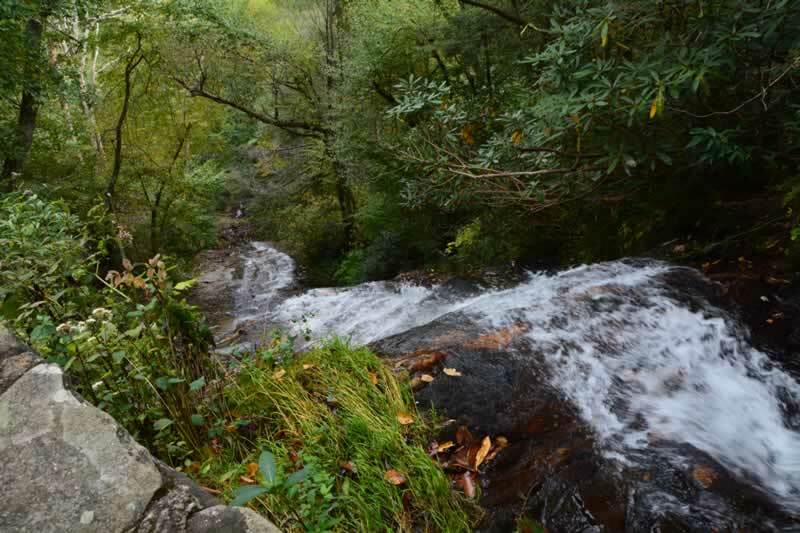 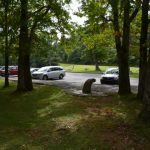 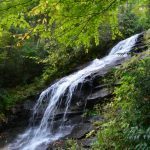 It is located at mile marker 272, north of the Boone / Blowing Rock area. 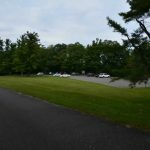 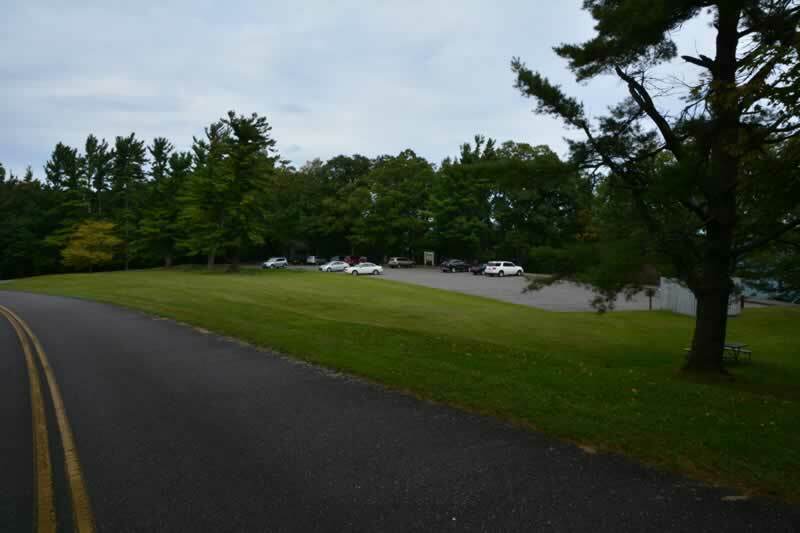 This rest area has the falls (of course) restrooms, picnic tables, a large open grassy area, ample parking, and nice views. 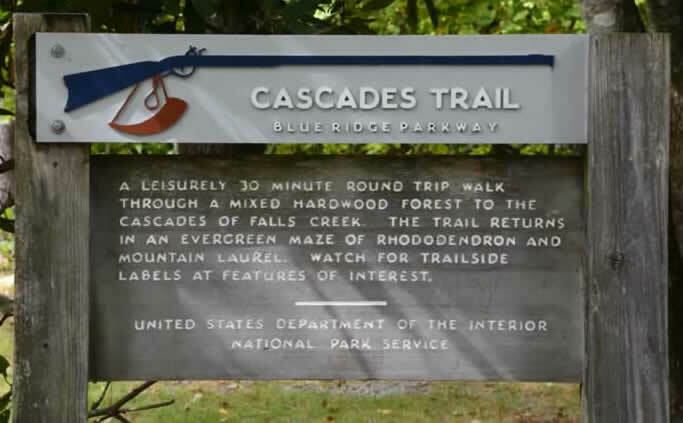 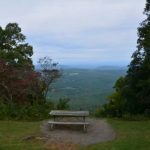 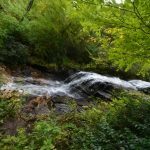 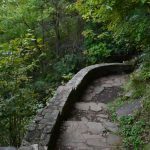 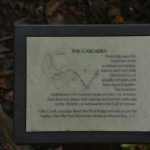 The cascades overlook and the trail is part of the E. B Jeffress Park. 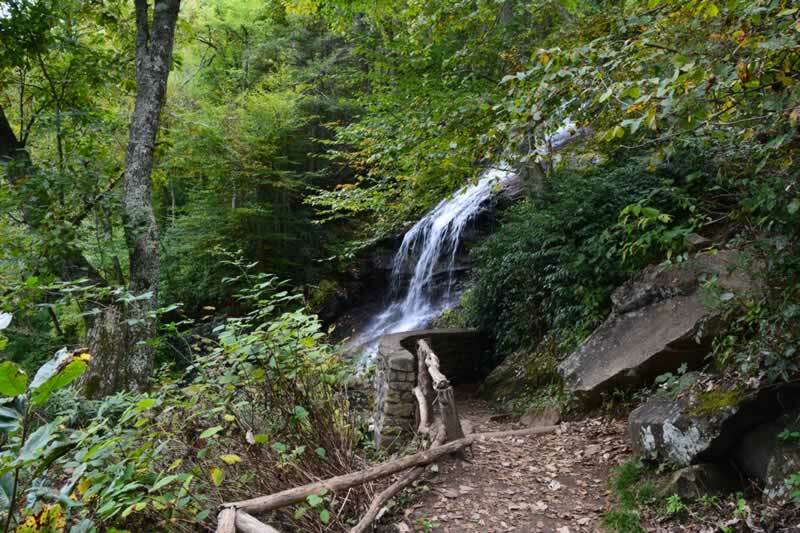 The trail to the falls is .5 miles and listed as moderate. 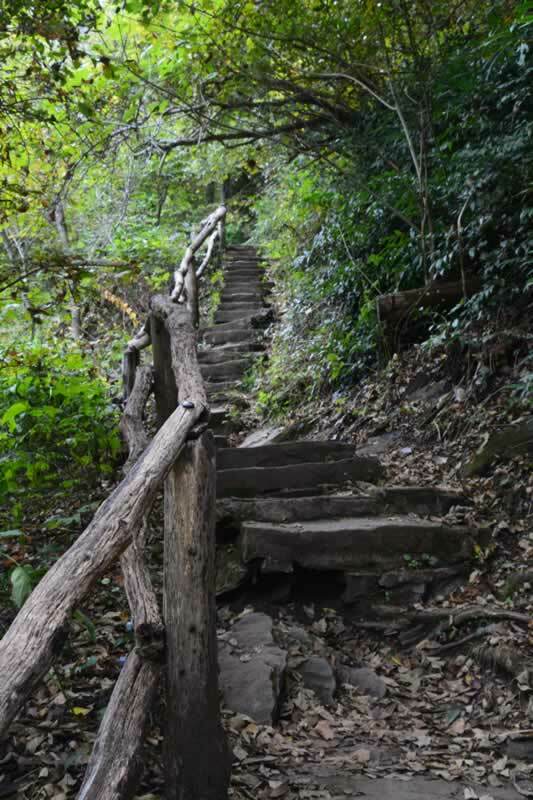 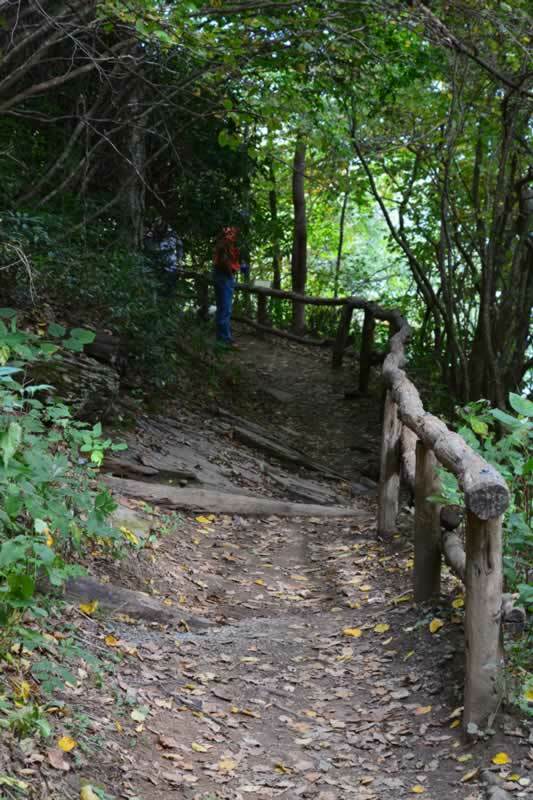 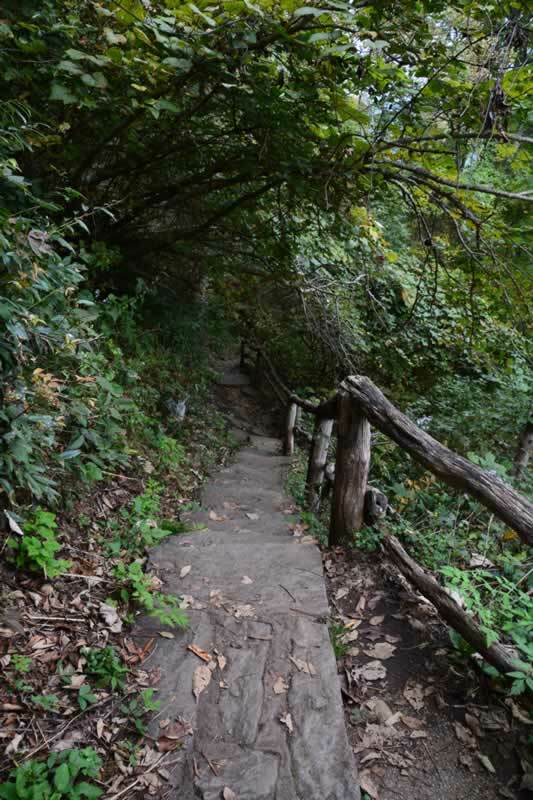 The trail surface is in very good shape for the most part but some of the railings and steps need repair. 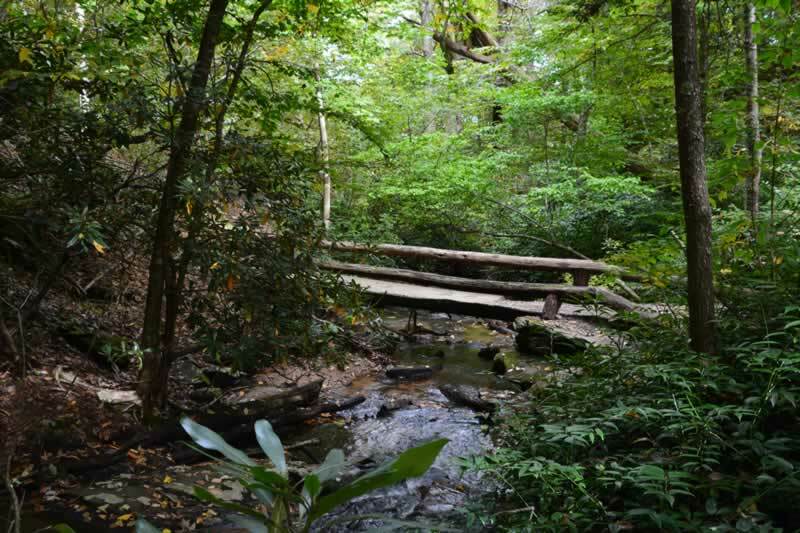 The hike to the falls crosses a footbridge for the stream that leads to the falls. 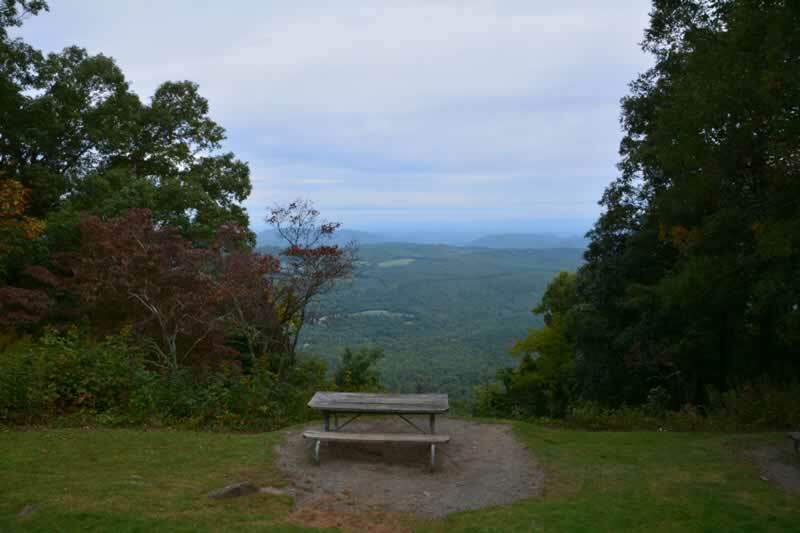 There are 2 viewing areas, one near the top and another about midway down. 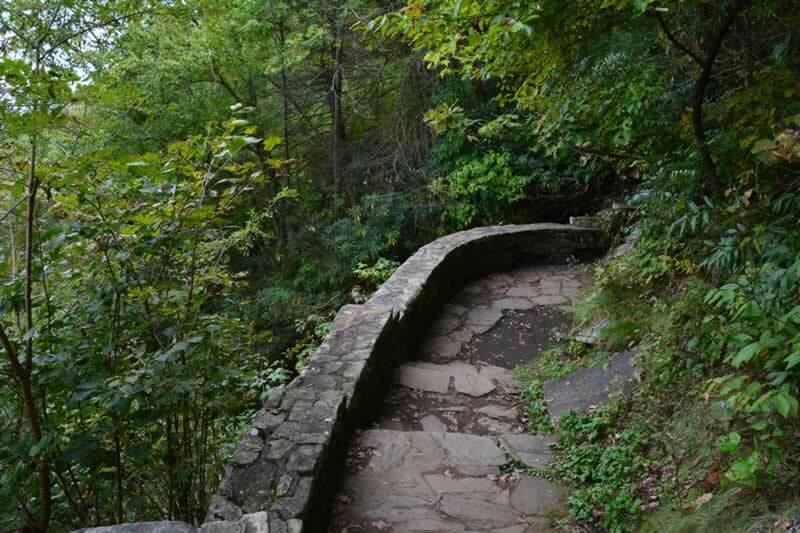 There is no trail to the bottom of the falls. 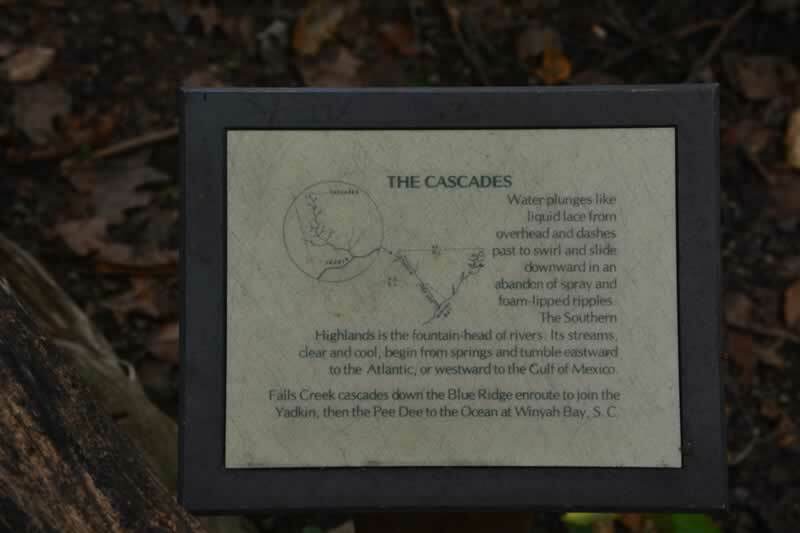 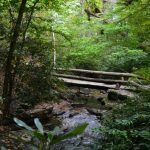 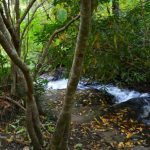 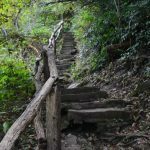 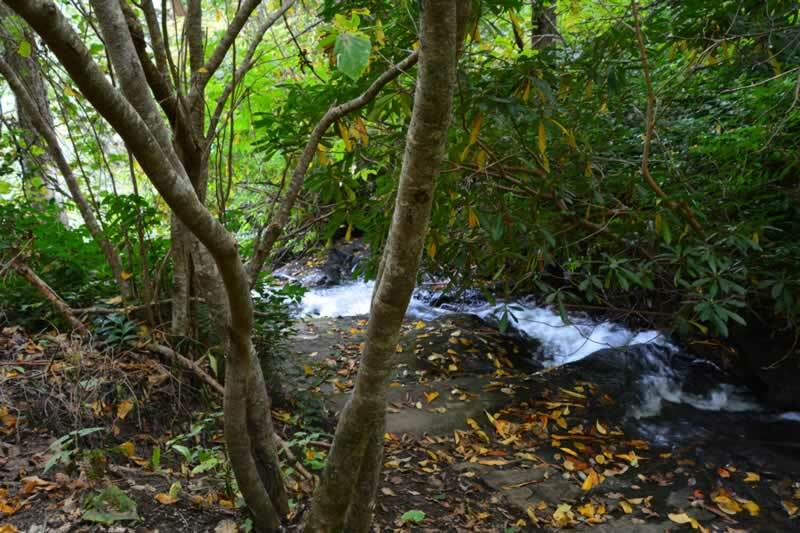 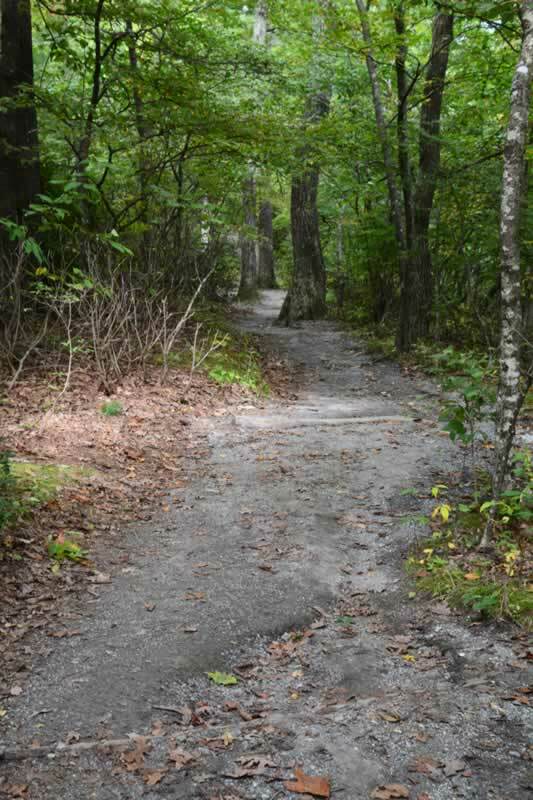 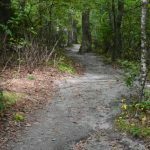 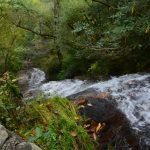 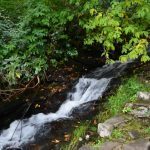 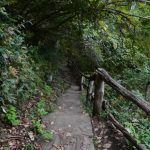 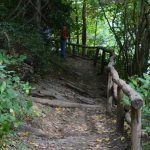 Lining the trail are many types of Hardwoods and Evergreens as well as Rhododendron and Mountain Laurel and Falls Creek.